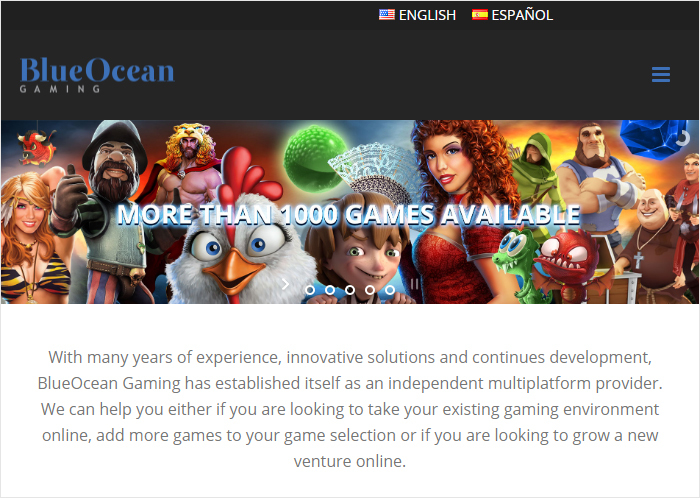 BlueOcean Gaming has been in the business for quite a while now, having started its operations in 2010. The company is situated in Slovenia but like all other gaming companies operates in the worldwide markets, including running operations from the central gaming jurisdiction of Malta. Their list of partners is proof enough that they are part of the tightly knitted network of iGaming companies that rule the field. Besides producing slots and providing software and solutions for online casinos the company also provides live casino, sportsbooks, 3D gaming, and 3D poker. The latter might be of interest for those who have grown tired of the usual providers, and for those who are seeking for a new poker experience. 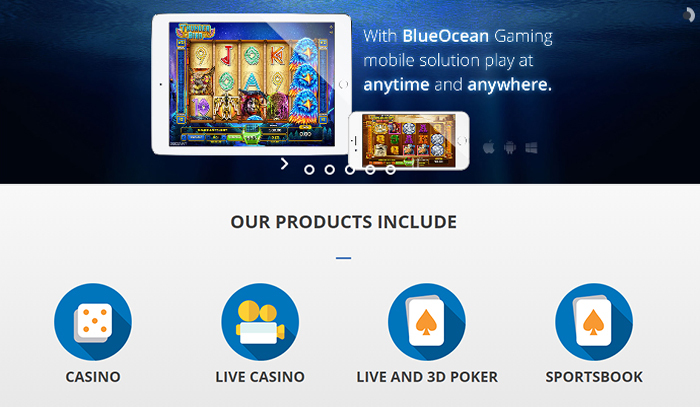 The main business for BlueOcean Gaming seems to be providing solutions for online casinos. They provide everything from back-office to front-office to slots, the latter offering a catalogue of over one thousand titles. They are currently licensed by Curacao gaming, though they might provide help with other licenses for their customers. The company has a rather extensive list of partners: NetEnt, Playtech, Evolution Gaming, Asia Gaming, Microgaming, and so forth. This makes little difference to a player looking for a casino to play in but should speak volumes about what kind of company we are talking about. The main company runs the platforms and provides the services already mentioned. Their slots, produced in-house, can be found under the title Xplosive slots. This line of slots is actually rather fresh, having kicked off in 2015. Usually, you would have the companies going the other way: first providing slots and then becoming white label providers. Here, BlueOcean has taken the other route benefitting from its vast array of partners and expertise. The games run both with Flash and HTML5, which means that they are fully compatible with any modern browser. This, in turn, means that the games scale both to mobile and desktop devices. Which is just as well, as specialised apps or other downloads needed to play slot games is long over. The whole selection consists of a dozen or so slots, with themes that range from Robin Good(Hood) to Spartan Heroes and Vampire Fortunes. Graphically the slots are impressive, and when it comes to gameplay and special features there is plenty of variation. This includes payline systems, which vary greatly from game to game. Certainly, there are not too many slots in the collection, but luckily they come with vastly more variation than many other companies can offer.